Reading is a complex cognitive task. How is it that our minds are able to read? 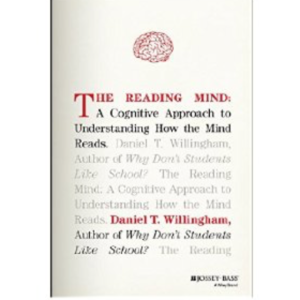 Daniel T. Willingham, a professor of psychology at the University of Virginia and acclaimed author, tackles that question in his book The Reading Mind: A Cognitive Approach to Understanding How the Mind Reads. He builds a cognitive model of reading to explain how people understand letters, words, sentences, paragraphs, and full texts. He discusses the critical role of motivation to read in gaining skill in reading. By concluding each chapter with bullet point summaries, implications, and discussion questions, The Reading Mind is easy-to-read. It provides good fodder for teachers, parents, education practioners, and policy-makers interested in thinking deeply about how we read and how we support people in reading more and with greater understanding. Reading is important for individuals and societies because by writing ideas down we create permanent records of information and help ourselves expand what we are able to remember. While the advantages of reading and writing may be obvious, the process by which we read is less so. First, we must understand that letters correspond to speech sounds called phonemes. Being able to distinguish different sounds of speech is associated with success in reading. Unfortunately, distinguishing these sounds is difficult because people pronounce sounds differently, and the sounds can change depending on the other sounds that occur before or after. English has poor matching between letters and sounds. This slows down the process of learning to read English compared to languages with better matching. Together letters make words. We do not typically read words letter-by-letter. Rather, we read words in letter clumps. Nearly every word has an associated sound, spelling, and meaning, each of which affects how we read. For example: (1) we read tongue twisters silently to ourselves more slowly than equivalent phrases with dissimilar sounding words; (2) instruction in spelling improves reading abilities; and (3) we are more ready to read words with meanings associate with the words we just read than words that are typically not related. Because students encounter about 85,000 unique words in school texts, vocabulary size matters for reading comprehension. Additionally, understanding deeply how words relate to one another and how to use them flexibly is valuable for developing skill in reading. Willingham explains that an understanding of sentences requires an understanding of how one sentence relates to the next. As we read sentences we build a web of ideas. 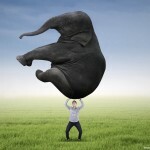 If readers cannot connect the ideas in sentences, then it is difficult to build such a web. Reading and understanding sentences is also aided by a rich understanding of knowledge about the world. A knowledgeable reader can fill in details a writer omits. Indeed, reading comprehension is much better the more background knowledge a reader has about the topic of the written material. Beyond being able to read, Willingham argues that having the emotional motivation to do so is important. There is a virtuous cycle in which the more a person reads the better a reader he becomes. The better a reader he becomes the more he enjoys reading. The more he enjoys reading the more he reads. An individual’s past experiences in reading, her sense of herself as a reader, how valuable (e.g., enjoyable, informative) she expects reading to be, and the value of reading relative to other possible activities all impact the likelihood that an individual will read. Making reading materials easily accessible can help people read more. 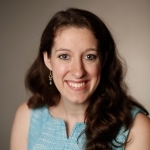 Although many well-meaning teachers and parents try to incentivize reading with rewards, Willingham warns that when the reward is removed the student may actually read even less than before the reward was introduced. Willingham concludes with a timely discussion of the relationship between technology and the reading mind. He argues that more research is needed to parse out the particular feature of technological interventions that have the power to improve reading. Although there is much concern about technology making youth more distractible, Willingham argues that this concern is not well-supported. It may be the case, however, that students are less willing to tolerate boredom. While teens’ time spent with new technologies has not displaced time spent reading, Willingham still recommends limiting the amount of time youth spend on screens. Doing so may help make spending time reading a more appealing option. As Willingham notes, it is difficult to translate science research about reading into recommendations for policy or practice. While being careful not to over-interpret research findings, The Reading Mind offers useful suggestions for how policy-makers and practioners can use cognitive psychological literature to inform their work. 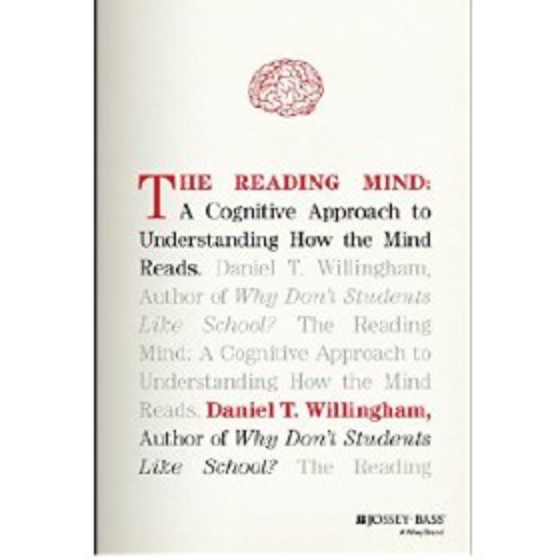 For additional insightful work by Willingham, see our review of his book Raising Kids Who Read. Willingham, D.T. (2017). The Reading Mind: A Cognitive Approach to Understanding How the Mind Reads. San Francisco, CA: Jossey-Bass.